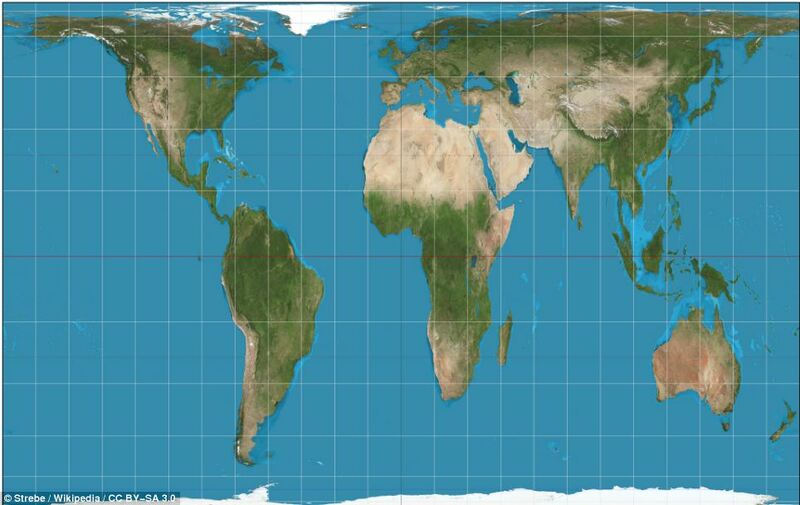 Is this elongated map of the earth the real map of the world? Many of us have seen these elongated maps of the continents and the earth in the shape of an elongated sphere (oblate spheroid) that are said to reflect more accurately the map and shape of the world. We also read of lost warm lands at the the north and south poles. We hear of flat earth theories and hollow earth. This opens up a range of speculative questions. While I am skeptical about the flat earth and the Hollow Earth theories, I do think there are probably huge underground caverns, cities, tunnels and rivers. 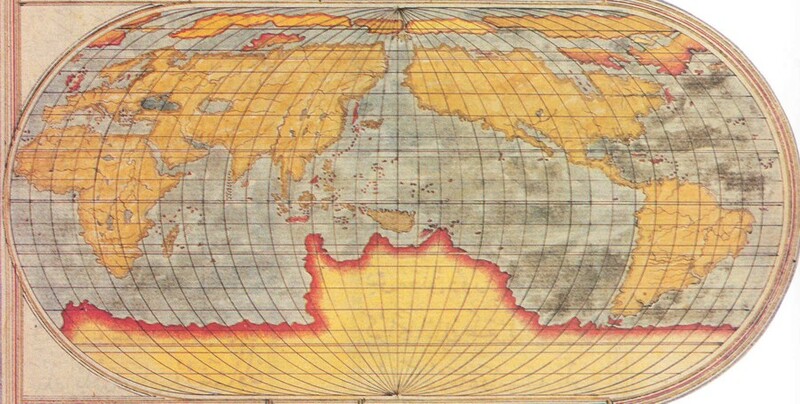 Is it possible that our traditional maps of the world and the ball-shape (or a prolate spheroid) of the earth are actually basically correct but that the elites have deceived us about the size of the earth? Could there indeed be more land and sea beyond the ice circles at the two poles which are warmer in the centres of these polar regions? In covering up this extra space would explain why the continents would seem more elongated and why people claim that we can see objects in the distance which we shouldn't if the curvature of the earth was what scientists claim it is. 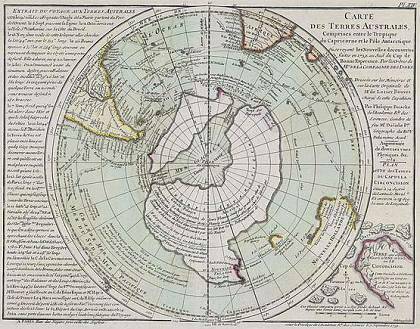 Some old maps show that West Antarctica and East Antarctica are two separate land masses separated by sea (see below). Have the elites hidden this by pushing the two parts together on released maps? Beyond the Transantarctica Mountains is there actually a hidden warm Sea with a hidden Island/Continent as described by Admiral Byrd? Is the land he discovered actually the warm western half of East Antarctica which has its own Transantarctica Mountain range dividing its cold and warm halves? Or is this warm Land a separate Land mass from East Antarctica? Did the advanced civilization that once existed on Greenland actually move north to lands at the Arctic as is claimed in many legends? Did the advanced Amazon survivors from the cataclysmic events in the southern Hemisphere around 1530 move into the hidden warm lands concealed by Antarctica? Have these two advanced civilizations made an uneasy alliance to control the world for their own agendas? The northern one is a masculine militaristic masonic occultic group (sons of Mars/ Ares) while the southern one is a feminist theosophical occultic group (daughters of Venus /Aphrodite). This alliance between the two groups may have occurred in the middle of the 19th century. Is the Statue of Liberty (the Goddess Libertas) a sign of that alliance? Have these groups had a falling out and are the two candidates in the American election representatives of the two groups? Is there a smaller third secret group that is opposed to the other two and is also working behind the scenes? Whatever the truth is in regards to Antarctica the Elites have been hiding something from the rest of us for many years in connection with Antarctica. Why did the Russian Orthodox Patriarch Kirill and President Obama visit Antarctica this year? We know that observing space from Antartica is clearer. Are they going there to observe the coming of the comet of Catholic prophecy which some call Niburu (others Eris, Wormwood, Nemesis, Planet X, Planet 9 etc)? I've pondered alot of the same questions, and how can we know for sure? How can we independently verify the existence of breakaway civilizations in Antarctica? Maybe we should open up a diplomatic embassay... How long can the 'powers that be' really keep it secret? The politician Barnaby Joyce had the idea to mine Antarctic in 2006. I don't know what happened to that idea. Since we 'own' 42 percent of Antarctica, a huge chunk, there is alot we can do there, at the very least for science and mining. Anyway, keep up the good work. I always look forward to your blogs.